This is it: the 2018 Milwaukee Brewers are down to the last 30 games of the season. According to MLB Official Standings, if the season ended today, the Brewers would secure the second Wild Card spot, which would mean a road game against the surging St. Louis Cardinals. In the immediate vicinity of the Wild Card remain the Rockies, the Dodgers, and the Phillies. Baseball Prospectus updated Playoff Odds place the Brewers’ playoff chances at 65 percent, which is good for fourth most likely National League team to reach the playoffs; if you’re not into the Wild Card game, Baseball Prospectus adjusts the Brewers’ odds to reach the Division Series to approximately 35 percent (which is good for sixth best in the NL). Any way you slice it, the Brewers are straight in the thick of a playoff hunt. CurrentPythag: Estimated win total based on underlying park-adjusted, league-adjusted Runs Scored / Runs Allowed. Avg_Win: Average of each Daily Winning Percentage throughout 2018, and its standard deviation (Win_Stdv). Status: Whether the club is playing better or worse than their expected run differential record. Yet there is a sense that the club is limping along. 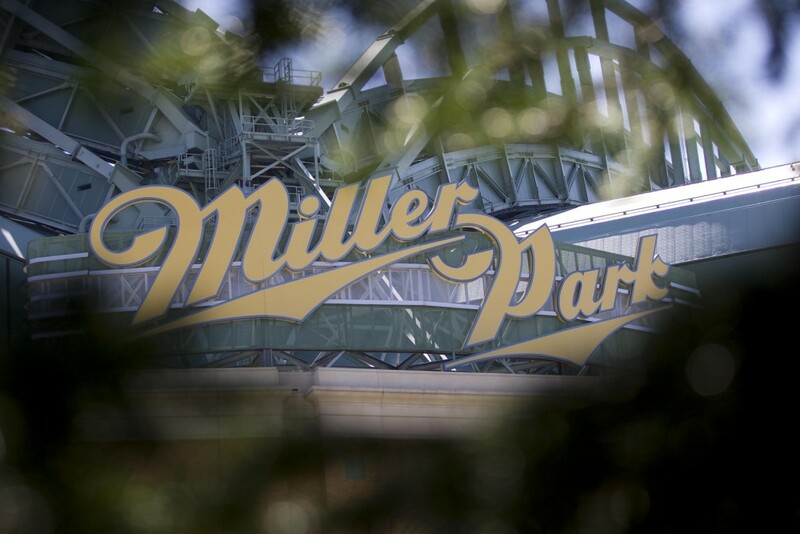 A common refrain among Brewers fans is to pick a favorite date on the calendar, and proclaim either that the Brewers are .500 since that date, or have a losing record. For example, from June onward, the Brewers are 37-38 (.493)! Yet, the club just finished a fantastic home stand, and boast a winning record after the break (despite a series of soul crushing losses). So, with the series at Cincinnati set to begin, let’s take a deeper dive into the major National League contenders (I realize after the fact that the Giants are within a game of the Nationals, which shows how far the Nationals have fallen below their expected run differential (Runs Scored / Runs Allowed) pace). For this feature, I analyzed each contender’s Average Daily Pythagorean Record, as well as each team’s Average Daily Overall Record. The benefit of looking at each club’s daily performance is that one can construct a snap shot in time (i.e., the Brewers’ record entering play on August 28, 73-59, good for an 89-to-90 win record), their average expectations (based on runs scored and runs allowed, the Brewers would be expected to win approximately 85 games), as well as demonstrating the “flow” performance over time (the Brewers’ average daily record is approximately 96 wins), and variance over time (Milwaukee has standard deviations of roughly 12.0 for both their Average Daily Win and Average Pythagorean record, which is actually middle of the pack among 2018 contenders). How do the Brewers compare to contenders? Let’s get straight to it: based on their daily park-adjusted, league-adjusted Runs Scored and Runs Allowed, the Brewers are one of the “worst” contenders of the bunch. Yet, one will notice that based on this stat, the Nationals are also one of the best contenders in the NL. So, thus opens the theoretical question of whether one would rather be following a team in the thick of the playoff race that is outplaying their run differential, or one that fell out of the race despite excellent peripheral performances. In most seasons, the Nationals might be expected to perform in the playoffs. This year, they are on the playoff fringes. Based on their Average Daily Win Total, the Brewers’ exceptional March and May performances lend the club an excellent daily average, placing them second among all National League contenders. By contrast, one can see the trouble that the Dodgers’ slow start caused for their average daily win total, as that club has not even average .500 baseball throughout 2018. How do these various winning paces, expectations, and underlying statistics align? In the next table, I present the difference between each club’s Actual Winning Pace and Average Daily Winning Pace, their Current Run Differential Record against their Average Pythagorean pace, and their “True Pace,” which compares each club’s Average Daily Win pace to their Average Daily Pythagorean pace. What is interesting to note is that the Brewers are one of a few teams on a down swing, as Milwaukee’s current win pace around 90 actual wins is approximately six wins below their Daily Average Win pace; on average, however, the Brewers are out playing their expected run differential record by 10 wins throughout the season. We knew all of this already: throughout the 2018 season, the Brewers have consistently out performed their expected run differential record. The club has steadily remained around a low-to-mid-80s win total based on their Runs Scored and Runs Allowed, despite surging on the field. This is in large part due to the club’s fantastic fielding, as well as their excellent (until recently) bullpen. GM David Stearns constructed a team meant to excel in these areas, and now the club has 30 games to prove that perhaps that Average Daily Win total is not a fluke. On the bright side, other contenders have already corrected their respective paces in August; perhaps the Brewers will make their large shift in the next 30 games.